Iran has indirectly accused Israel for a cyber attack on its strategic networks and infrastructure with a computer virus “more violent, more advanced and more sophisticated” than Stuxnet. Israeli officials have not admitted any role in this operation, but the report came in hours after Israel’s Mossad thwarted an Iranian murder plot in Denmark and days after Iranian President Hassan Rouhani’s phone was found to be bugged. The Iranians, the TV report said, are “not admitting, of course, how much damage has been caused.” Iran said it has neutralized the computer attack. Several Iranian officials made reference to “the occupying regime” and “the regime – with a notorious background in using cyber weapons in cases such as Stuxnet,” as being responsible for the attack. Last week Israel announced that its intelligence agency Mossad had thwarted an Iranian murder plot in Denmark. In addition, Iran acknowledged that Rouhani’s mobile phone had been bugged for weeks. Last week, Israeli officials said the Mossad provided Denmark with information concerning an alleged plot by Tehran to assassinate three Iranian opposition figures living there. Denmark on Tuesday recalled its ambassador to Iran over the incident. “What Iran hides, Israel will find,” Netanyahu declared in his speech at the United Nations in September. You could win a free trip to Israel when you support Tiferet Yeshua Congregation in Tel Aviv. Israeli teenagers who have been living under the threat of rockets and arson attacks by Palestinians are taking their plight to the highest level of government with a five-day march from their school near the Gaza border to the Knesset in Jerusalem. The teens say they are tired of the current security situation and they want change. “Since we were born, we’ve been living from one war to the next. We want to grow up on the Gaza border in peace,” said Roei Rahaf, a senior at the Shaar HaNegev regional high school. 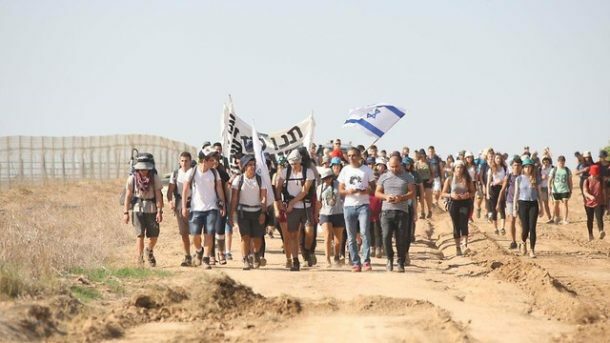 The students embarked on this 90-kilometer (56-mile) march and are expected to reach the Knesset by Thursday. They will be joined along the way by students from other areas of the country. This is the biggest protest by Israelis since the Palestinians in Gaza began their “March of Return” in March. The weekly protests at the border, intermittent rocket fire and daily threat of arson terrorism coming from the Gaza border have traumatized the residents in the towns surrounding the coastal enclave. The students will be posting updates on social media. Meanwhile several adult protesters blocked the Kerem Shalom border crossing on Sunday morning, preventing trucks with supplies from entering the Gaza Strip. Footnote: When Israel evacuated Gaza in 2005, Israelis were very divided, but the feeling was, if we were going to forcibly removed 10,000 Israelis from their homes in Gaza, we should then respond as if we have been attacked by another nation, when Hamas sends its rockets. Sadly, we have not, and it has only encouraged belligerence. 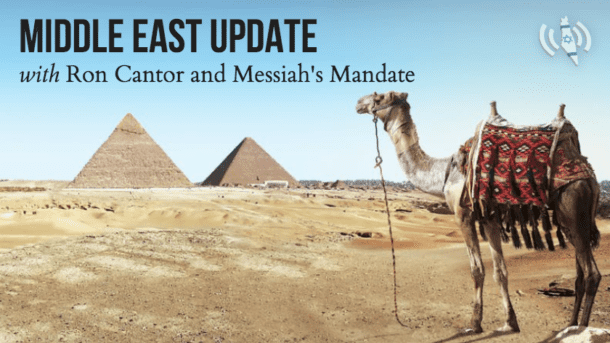 Israel’s Defense minister Avigdor Lieberman welcomed newly implemented American sanctions against Iran and said they will deal a “critical blow” to the Islamic regime’s military presence in the Middle East. This decision by the Trump administration “is the sea of change the Middle East has been waiting for,” Lieberman said on Twitter. President Donald Trump said the original agreement negotiated by former President Barack Obama was the “worst ever” deal and announced in May that his administration was withdrawing from it. Britain, France, Germany, China and Russia have said they will not leave. Israel has fiercely opposed the 2015 Iran nuclear deal saying it did little to halt Iran’s progress on developing an atomic bomb. The United States reimposed oil and financial sanctions against Iran on Monday.